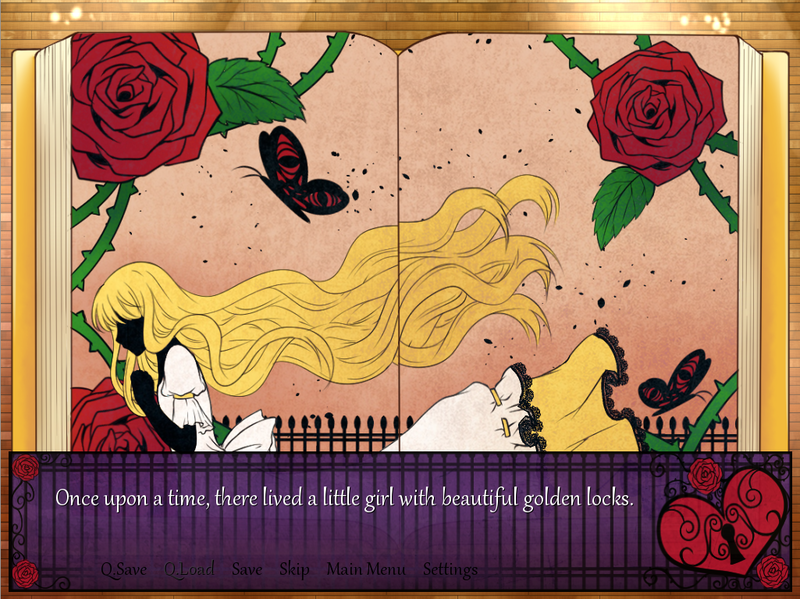 I don’t even remember how I came across this game, but I decided to give it a go because I’m biased towards stories based off faery tales and the likes. And before anyone asks – yes it’s in English and yes it’s free, yes it’s worth your time and it’s pretty short. A trip to the next town has diverted Aura to the infamous haunted De Lockes mansion … of talking toys?! 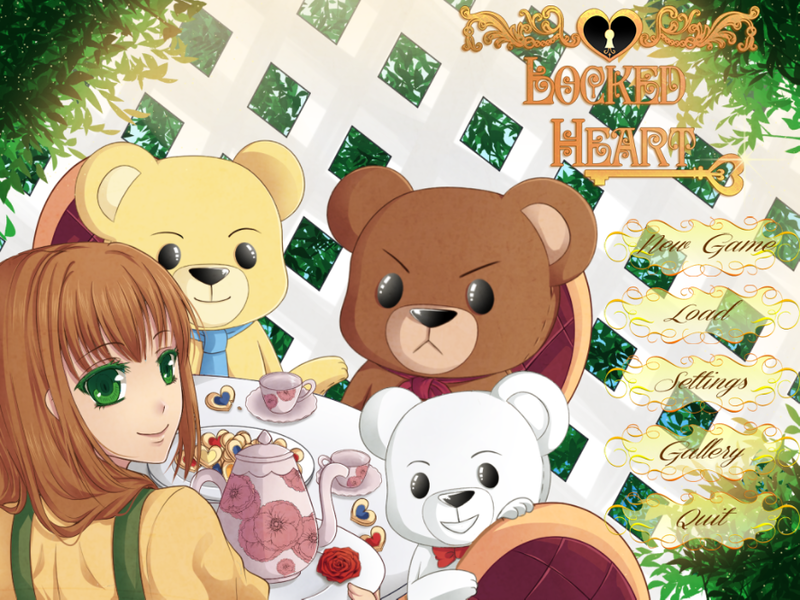 Play as Aura as she breaks the curse and possibly strike a romance with one of the 3 bears. The story’s parallel to the faery tale was actually minimal – apart from the setting (3 bears) and the names (ie., the family’s name), there wasn’t much else. The curse itself has similarity to Beauty and The Beast, but only slightly. …I’m not sure how to explain. You have 3 characters to go for, all of them lovable in their own way. Royal: The strict, serious butler of the De Lockes family. Sol: The gentle, princely heir to the De Lockes family (despite being the younger brother). Deon: The laid back, carefree older son of the De Lockes family who was disinherited. The story was very well-done – just the right amount of mystery and romance and a little bit of drama thrown in. System was standard VN, so there’s nothing for me to write there. It has a Gallery function but no Scene Recollection; I don’t think it needs it anyway since it’s pretty short. My preference: Deon —> Royal/Sol. Not that Royal or Sol was bad – for me they simply can’t compete with Deon. 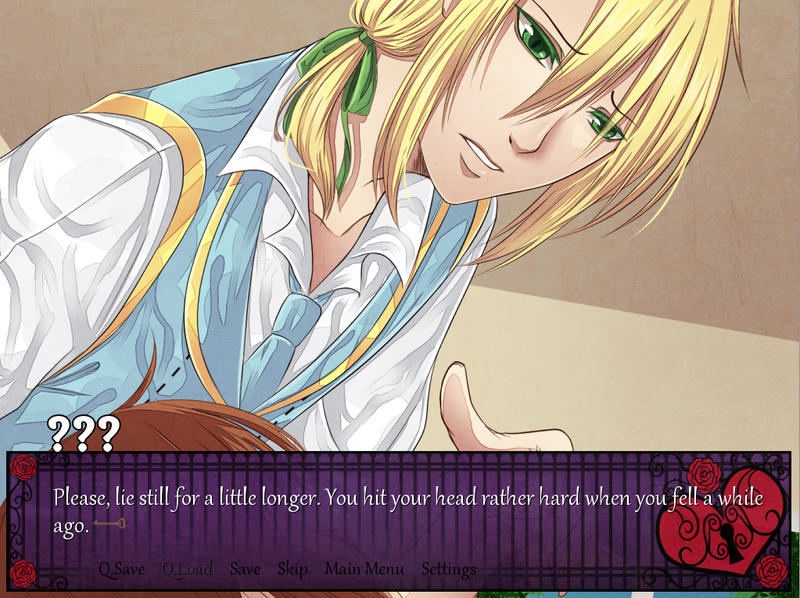 Sorry to any Royal or Sol fans – Deon simply had the best kiss scene (*¯ ³¯*)♡ My recommended play order would be… well, it doesn’t really matter. Each of the route reveals a different facet to the entire story, such that it makes no difference which route you play first. 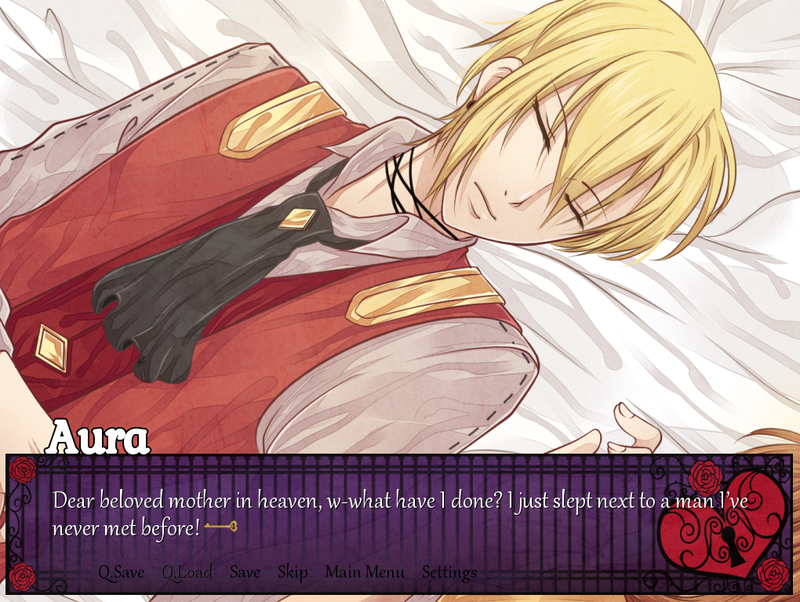 At the beginning I was rather undecided about Aura as a main character. In some situations/scenarios she just seemed… so happy and upbeat. Like, unnaturally upbeat given the situation… but I guess it’s necessary as she’d be needed to lift the mood of the scene when everyone else was rather down. As a character she grew on me, and by the end of the game I think she’s a suitable main character for the story. Each character got around 8CGs, not counting the variations. 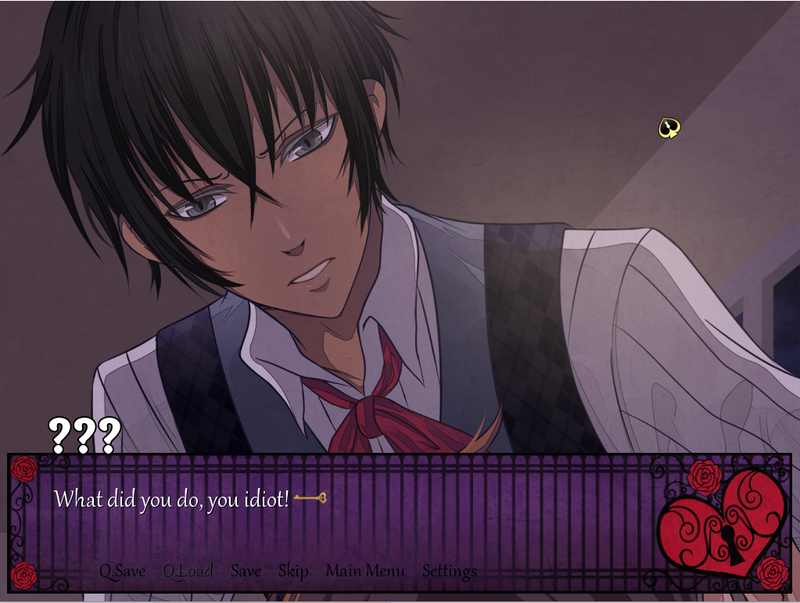 I like the CGs, I like the character sprites, I like the background… I have nothing to complain about. In fact, I’m pretty impressed given it’s free. I do like how the title screen changes to show which character you’ve cleared – for example, once you’ve completed both of Sol’s ending, the picture of Mama Bear on the main screen will change to Sol. Do note you need to get _both_ endings for this feature – when I played I got Deon’s Best Ending but couldn’t get his Good Ending so Deon stayed as a bear on the title screen (I did get it in the end). Also there’s the official guide if you need it.